You’ve paid your money , you’ve trained your socks off, you don’t want your efforts to have all been in vain. By taking ALTI-VIT both prior to and during your visit to altitude, you will improve your bodies response to the conditions. Take two tablets per day with food prior to departure. Increase to two tablets twice a day on the first day of your ascent. Pregnant or lactating women or anyone with hypertension or a peptic ulcer should not take ALTI-VIT. If you are under medical supervision you should consult your doctor before taking ALTI-VIT and it is not intended for anyone under the age of 18. If I am taking Diamox can I take ALTI-VIT? 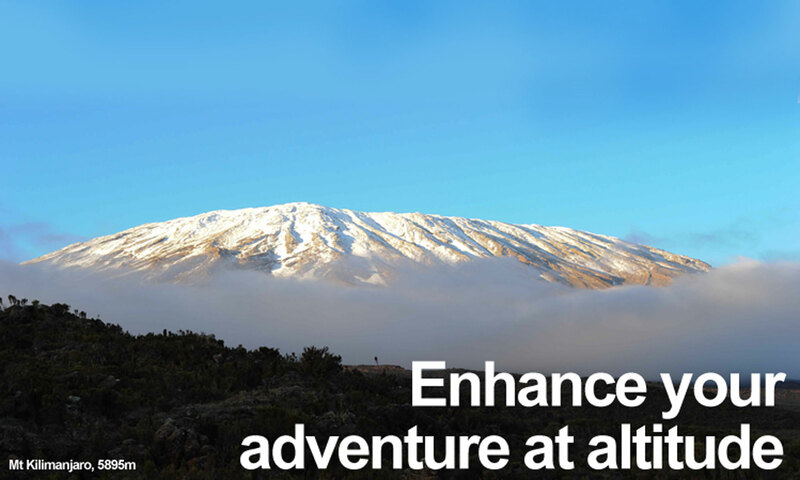 ALTI-VIT can be taken in conjunction with Diamox but we do recommend you talk to your Doctor before using Diamox and complete a trial course of medication before going to the mountains to evaluate the side effects. What if I am not going to altitude? ALTI-VIT is a fantastic multivitamin that can also be used as a daily nutritional supplement. So your body will benefit regardless of where you are. Do I need to take it if I have done an AMS test at the Altitude Centre? ALTI-VIT you will give your system the supplements it needs to operate well in such extreme conditions. What if I am feeling ill at altitude? AMS can be put into 3 categories, mild, moderate and severe. Always monitor yourself at altitude and keep your leader informed of any developments. Do not put your health at risk and the best form of treatment with AMS is to descend.